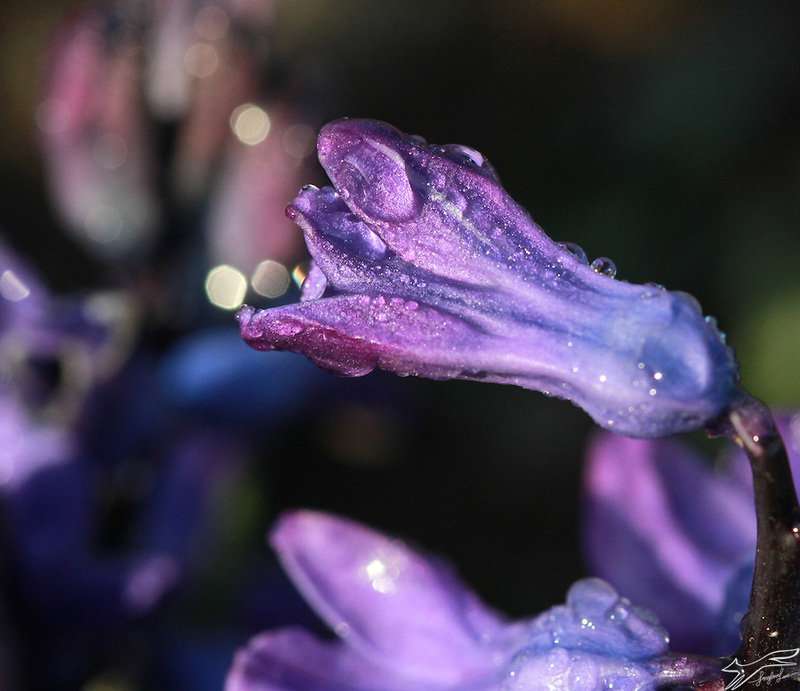 Catching the dawn dancing in raindrops has to be one of the happiest experiences for a natural light photographer. Anyone can take these kind of photos and I guarantee that even trying to capture light in this way will bring you into a joyful and magical world. Ever wondered how to do this? Here are my top tips. Blurry backgrounds with sharp subjects are a favourite of mine but the shiny glow of “bokeh” (a Japanese word for those little dancing fairy lights) adds an extra magical dimension. 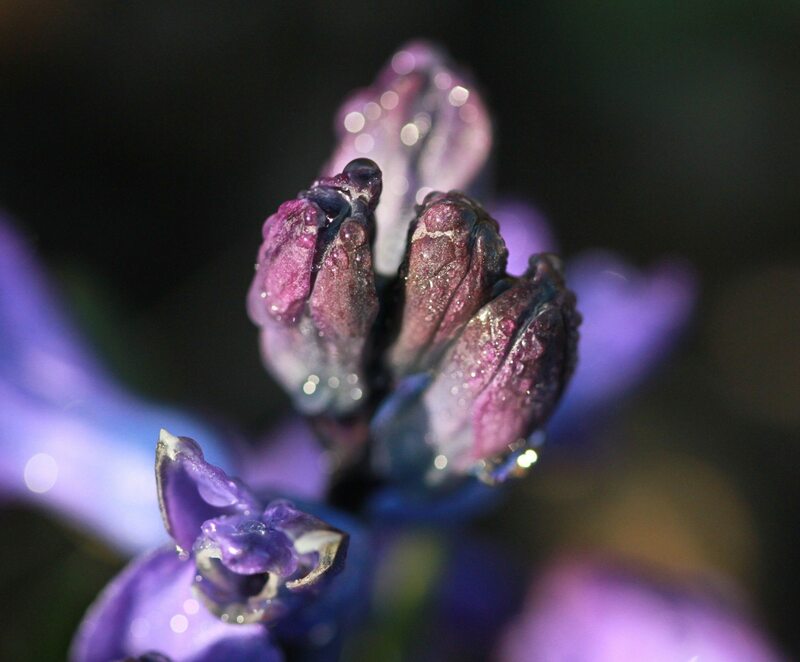 Begin by having the subject, in this case the budding flowers, close to you. Next, either get in very close to the subject or if you are using a DSLR put you aperture setting down to the lowest possible number. This will immediately put a distance between the subject and the backdrop. Creating blurry backgrounds work best if you can maximise this distance between what you are focussing on and the background. One of my favourite photo opportunities is when there is a lot of moisture in the air; raindrops, lakes, rivers, dew, frost. All of these conditions will trigger bokeh and you can have fun watching how the light makes worlds within worlds in even the tiniest drop of rain. 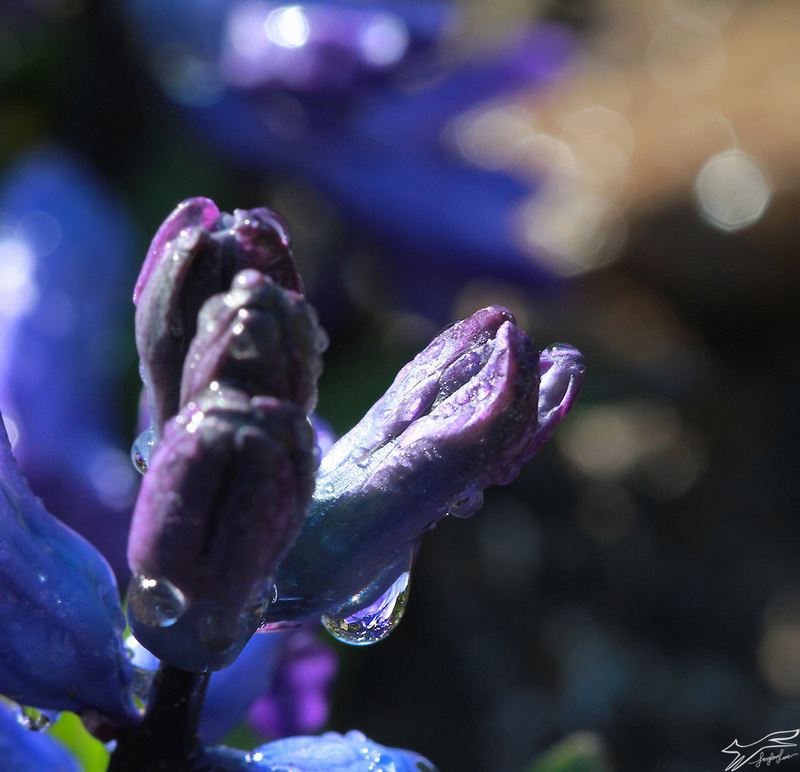 Photographing anything with water as a backdrop will definitely give the lens a feast of bokeh! It also helps to shoot into the light rather than having the light behind you. Get down as low as you can in relation to the horizon……and yes this often involves lying down and getting wet clothes!! Also this week you can read an interview with yours truly in the My Creative Life Series over at Tara Leaver Artists Blog. Tara makes art and runs courses to support others in establishing their creativity. Check it out! lovely…I adore bokeh as well…never knew it was Japanese! I thought it was Russian! And yes, getting those shots can mean getting wet and also having sore arms just waiting for that perfect moment! Haha! Kerry it’s always worth it even though these days it’s often easier to get down than get up!! Beautiful images! And definitely agree about it being easier to get down than to get up! LOL! Have a great weekend! Thanks Robin. My creaky knees are beginning to complain! Have a great weekend you too, Looks like I will be up to my neck in WordPress! Thanks for the heads up! Breathtaking! Magical indeed. I can almost smell the flowers and the damp soil and feel my sleeves and the knees of my jeans getting soggy. Thank you for taking me to that place today and for the DSLR tips. I used to use an old SLR, a Topcon, for years. It was the first one of its kind to have a Goldilocks LED traffic light system; red above for too much light, red below for not enough and green in the middle for just the right amount of light. That meant as long as I kept it green, I could play around with apertures and achieve bokeh effects. My husband bought me a DSLR but I get overwhelmed just seing all the info in the viewfinder so I’ve never used the manual settings. 🙁 Daft, really, as I’m in Scotland and we have plenty of damp days and frost! O good I’d love to hear how you get on with it. I’ve just come back from a forest walk where when the sun is shining down through the trees there are lots of these kind of opportunities. Dappled light, is such a treat. Thanks for joining in! I really love the magic that you create! I couldn’t agree more…capturing light is such a delight. And thanks for the tips….I often experiment to see what effects I get….still learning so much! Hi June, my lowest aperture lens is the nifty 50, it’s a fixed lens and a little gem. However I find that a zoom lens works great for these effects. It means you can stand further back and get a great depth of field? So I have a 70-300 which is great although holy moly it’s a heavy one!!! I also have a macro which is great. I think it was the macro lens in this case? However my son says that everyone is moving over to the Sony cameras as they have all these features combined in one……as I said I’m not too up to date with the technical stuff but a lighter, brighter camera would be a welcome addition!! Hope some one out there is listening? Thanks Catherine. I reckoned a 70-300 would be good for these, esp. if it had built in macro. That’s now at the top of my Christmas list! Mmmm, must start making my list too (two chances!) let me know how you get on!! I love these. 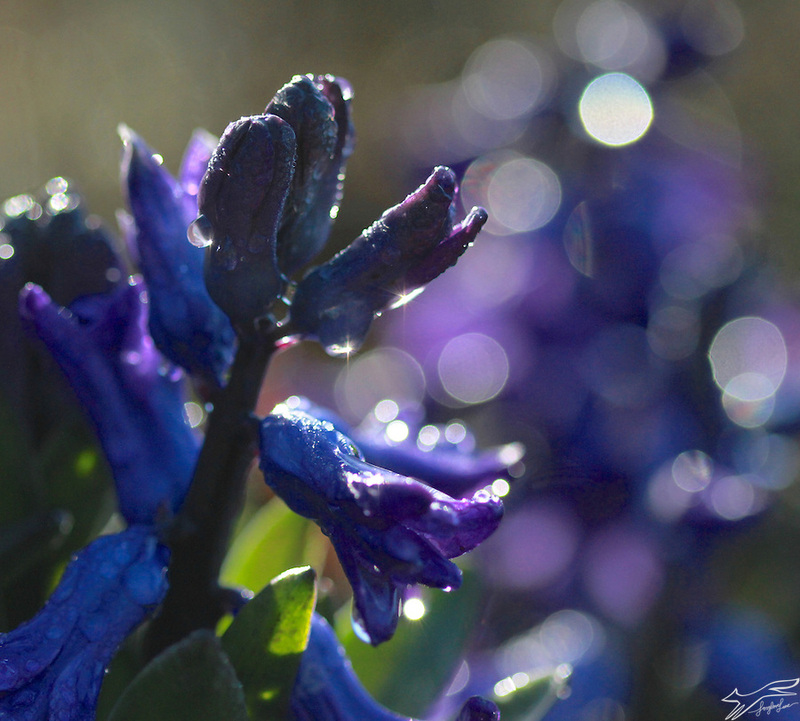 And playing with light and dew is also a great pleasure for me. These are like shinny jewels.